India’s politicalscape is witnessing hectic political activity to stitch an anti-BJP alliance, as the ruling front is losing the people’s confidence and votes in North India, ahead of the General Elections in 2019. The bye-elections have changed India’s political landscape for over four decades now. The results of the Lok Sabha by-polls in Gorakhpur and Phulpur in eastern Uttar Pradesh have sent shock waves through the ruling Bharatiya Janata Party and given a new lease of life to the anti-BJP forces. 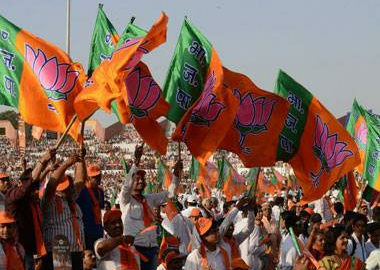 It is a setback for the BJP on many accounts, after the impressive win in Tripura in the North-East. The seats were vacated by Chief Minister Yogi Adityanath and his deputy Keshav Prasad Maurya. The BJP had won the Gorakhpur seat in 1989 and has held it since then, while Phulpur once represented by India’s first Prime Minister Jawaharlal Nehru fell into BJP’s kitty when the Modi wave swept over India in 2014. The results have laid a road ahead for the anti-BJP forces. The BJP has not won a single Lok Sabha poll even though it has been winning state after state. Decimated electorally, bitter arch rivals Samajwadi Party—whose support base comprises Yadavs and Muslims—and the Bahujan Samaj Party with a huge following among Dalits, wrecked the BJP’s electoral calculations. Buoyed by the by-poll victory in the BJP-ruled states, such as Rajasthan and Madhya Pradesh, during the last few weeks, the Congress which was decimated to 44 seats in Lok Sabha is in the resurgent mode. During the last two years, the BJP lost all the 10 Lok Sabha elections—Amritsar, Srinagar, Malappuram, Gurdaspur in 2017 and Ajmer, Alwar, Uluberia, Gorakhpur, Phulpur and Araria in 2018. Besides, in Maharashtra, its MP from Bhandara-Gondiya Nana Patole—defected and joined the Congress. 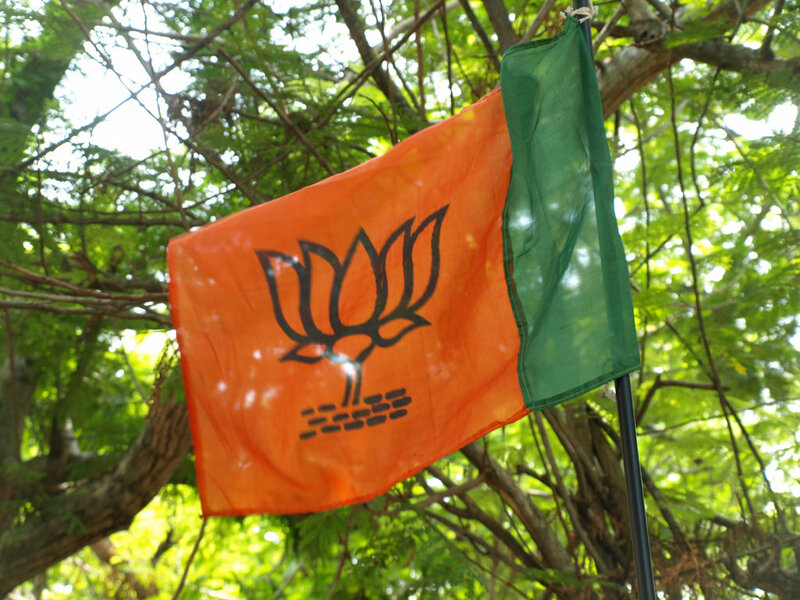 In the 2014 LS elections, the BJP had romped home with a comfortable majority of 282 seats, but now, after the UP results, its tally is down to 273 seats in the Lok Sabha. If one takes suspended Kirti Azad and disgruntled Shatrughan Sinha into account, the BJP can be seen as reduced to 271 seats in the 543-member Lok Sabha, including the Speaker Sumitra Mahajan. To form the government on its own, a party requires at least 272 seats in the Lok Sabha. It is indeed a wake-up call for the BJP that won 223 Lok Sabha seats out of 261 seats spread across Uttar Pradesh, Madhya Pradesh, Bihar, Chhattisgarh, Maharashtra, Jharkhand, Rajasthan, Haryana and Gujarat in 2014 General Elections. All this has galvanised political heat, with Congress-led UPA chairperson Sonia Gandhi hosting a dinner for like-minded parties on 13 March. Political leaders, including Sharad Yadav, Nationalist Congress Party (NCP) Chief Sharad Pawar, Samajwadi Party’s (SP) Ramgopal Yadav, Bahujan Samaj Party’s (BSP) Satish Mishra, Rashtriya Janata Dal’s (RJD) Tejashwi Yadav, Hindustani Awam Morcha’s (HAM) Jitan Ram Manjhi, National Conference’s (NC) Omar Abdullah, JVM’s Babulal Marandi, Dravida Munnetra Kazhagam (DMK)‘s Kanimozhi and All India United Democratic Front’s (AIUDF) Badruddin Ajmal attended the same. “This dinner hosted by Sonia Gandhi for opposition parties should not be seen from the prism of politics. It was for friendship and better dialogue between parties,” Congress party spokesperson Randeep Singh Surjewala pointed out. Yet, no time has been ripe during the last four years for such a dinner party or to stitch a non-BJP alliance. But there are many ‘ifs’ and ‘buts’ for the formation of a formidable anti-BJP coalition. Both Sharad Yadav and Mamata Banerjee are not comfortable with Congress President Rahul Gandhi leading the charge. Besides the electoral setbacks in the Lok Sabha poll, the BJP is having a rough time with its alliance partners. Last week, the Telugu Desam Party led by Andhra Pradesh Chief Minister Chandrababu Naidu withdrew its ministers from the Union Cabinet over the issue of special status to the state. Similarly, BJP’s ties with another major alliance partner Shiv Sena, have also hit an all-time low. Will India be struck by ‘Modi Magic’ again? The BJP, on its part, has been inducting leaders from other political parties in the saffron outfit. The latest to join the party were Naresh Chandra Agarwal from the Samajwadi Party and Narayan Rane from the Congress. Though the BJP’s winning juggernaut continues in the states — thanks to the sole campaigner Prime Minister Narendra Modi, its winning strategy, the BJP national president Amit Shah and strong networking at the grassroots — all is not well for the saffron party ahead of the 2019 Elections. Doubts have been expressed whether the party can win the 2019 election comfortably, as it did in 2014 under Modi. Meanwhile, the pre-poll razzmatazz will continue to hit India more than ever before. Is it just the beginning of an end for Modi, ahead of the General Election 2019?